Chartreuse La Tau is a traditional French herbal liqueur made with more than 130 plants and plant substances. Chartreuse La Tau is a mix of Yellow Chartreuse (70%) with a touch of Green Chartreuse (30%). 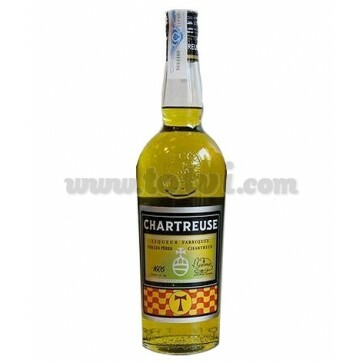 Chartreuse La Tau is a traditional French herb liquor that is named in honor of the monastery Carthusian where the Grande Chartreuse is located in the massif of the Chartreuse (region of the Alps). Chartreuse La Tau is a mix of Yellow Chartreuse (70%) with a touch of Green Chartreuse (30%).